Variety Gem Co., Inc. - 14K White Gold Engagement Ring (G/SI2, 0.70ct). 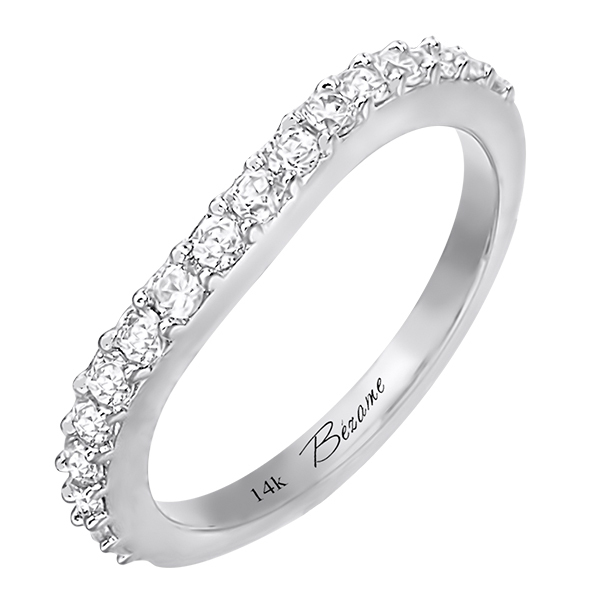 From the Bezame collection, this beautiful engagement ring has 14 Round brilliant cut diamonds set in 14K white gold. This ring has a matching wedding band (sku# WB2311W/D). This ring is available in 18 karat white gold and platinum . The center stone is not included.